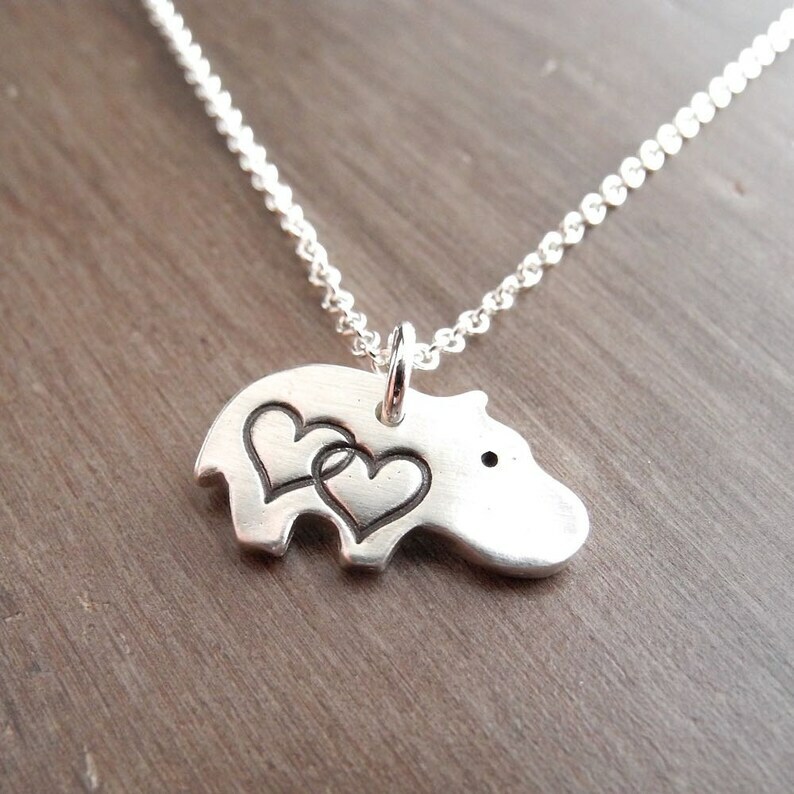 My Tiny Double Heart Hippo Necklace is crafted by hand in fine silver in my home studio. The back is stamped with my dragonfly maker's mark and ".999" to signify fine silver. After fabrication, I apply an oxidizing patina and then hand buff it to bring out the details. Your choice of sterling silver chain is included. 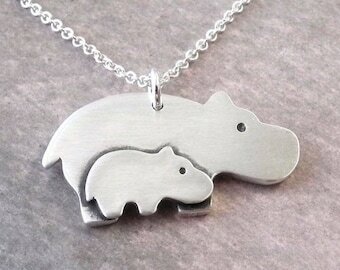 The model is wearing a hippo of the same size on a 16" round cable chain. Because I make each one by hand, yours will vary slightly from the above example photos. It will have its own markings and characteristics that make it unique. This is much better in the flesh than the photo suggests. Very nice expression of childlike tenderness. Thank you.